Picture the seafood restaurant in Bangkok of your dreams. Do you see fresh fish and rock lobster, grilled to perfection with an irresistible aroma? Juicy oysters, brimming with the flavors of the sea? Well you can make your dreams into reality with a visit to The SQUARE restaurant at Novotel Bangkok Platinum Pratunam! 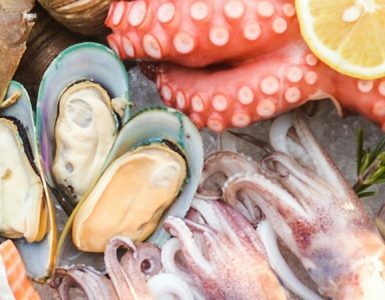 Located right on the 6th floor of the hotel, The SQUARE’s inviting ambiance becomes even more appealing when you experience this delightful seafood buffet spreads devoted to many a food-lover’s favorite food group. With comfortable seating and the SQUARE’s private room at your disposal for big family get-togethers, try our Seafood Sunday Brunch Buffet, with a seafood selection worth exclaiming over! Savor the sweetness of fresh oysters, Alaskan king crab and prawns. Steamed seafood more your liking? The delicate flavor of steamed blue swimmer crab or steamed sea bass in soy sauce is not to be missed! Our selection of spicy Thai dishes showcasing seafood such as salmon in green curry or spicy scallop salad are further beloved dishes. But remember to keep some space for dessert and treat yourself to our homemade cakes and fresh seasonal fruits. Every day is when seafood lovers can focus their passion on our latest dinner buffet promotion, called Completely Crab. Enjoy a variety of crab dishes such as steamed blue and sea crabs, king crab legs on ice, crab tom yum and more! Convinced yet that the SQUARE is the seafood restaurant in Bangkok for you? You should be! 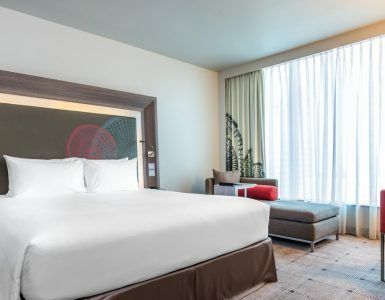 Value for money offers such as up to 50% off for Accor Plus members and a steady stream of promotions with credit cards make sure you can save but still get your money’s worth on flavor and quality at Novotel Bangkok Platinum Pratunam!